Yesterday I asked my Twitter friends for some requested topics for my blog since I’ve been lacking ideas (apart from wedding related geekiness, which I am sure no one finds particularly interesting except for our moms). 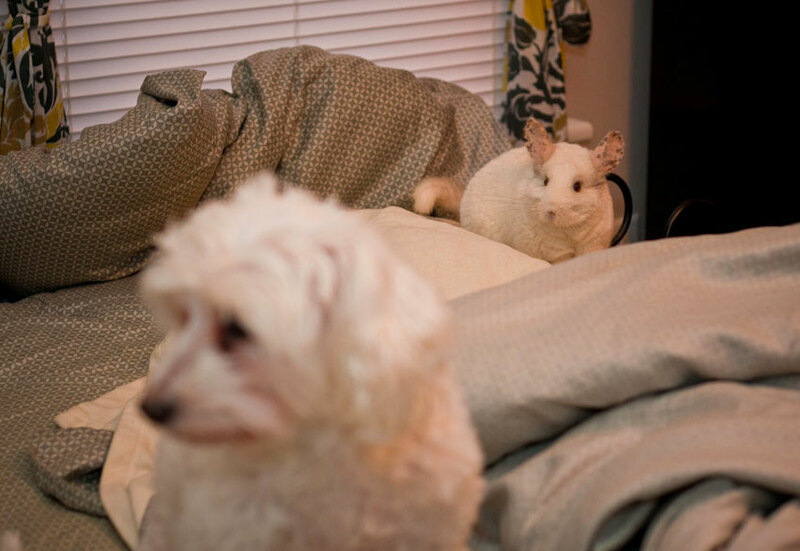 Jenn Hall asked for “more chinchillas,” so ask and ye shall receive! 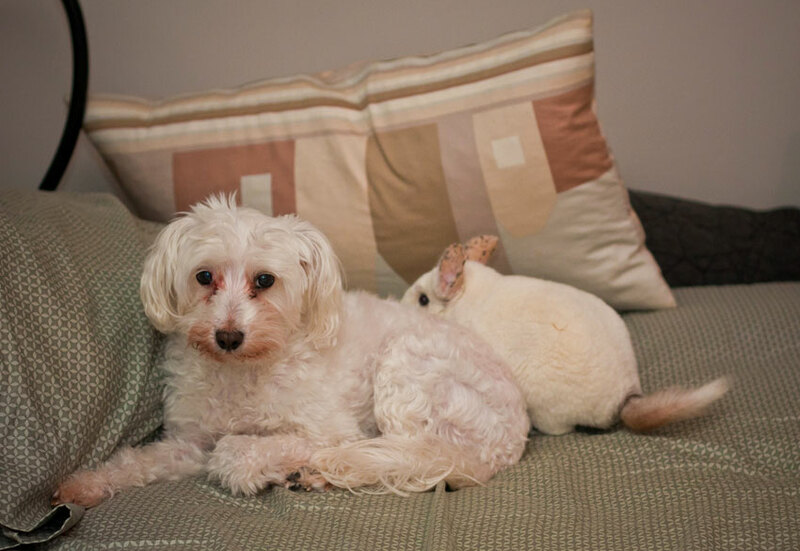 Meet Maude, who I got six years ago during college…she was my top secret, on-campus mascot. 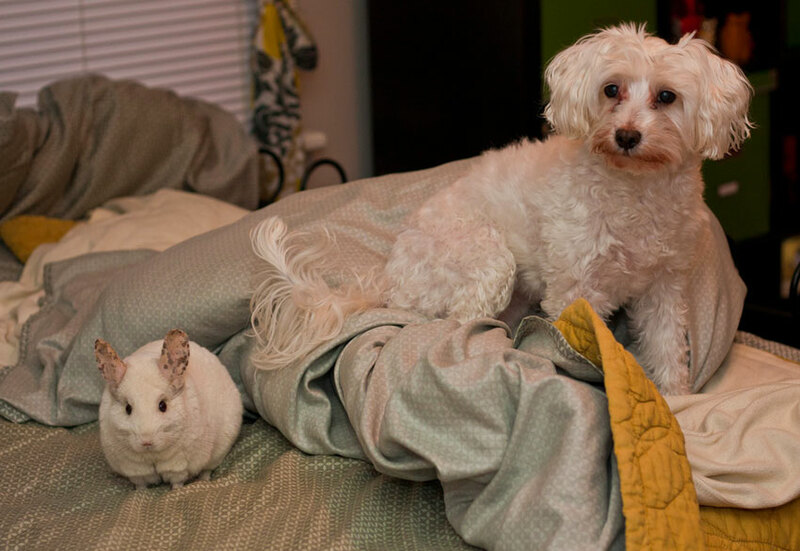 Maude had a snuggle buddy named Ethel for four years, but unfortunately she passed away (sad face). 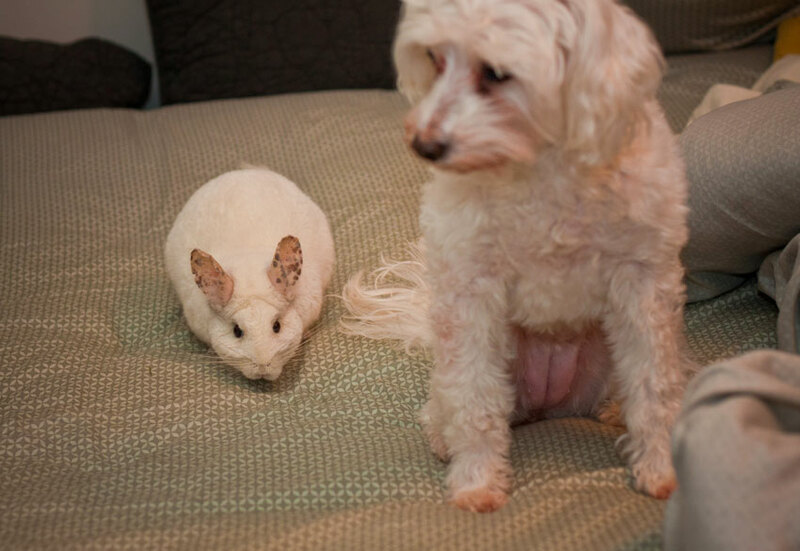 Even though Ethel isn’t around anymore, Maude still tries her best to befriend a very terrified Betty White. A clueless Betty White contemplates whether or not the wind will blow our roof off. *As a side note, I realize I should make the bed more often. She had no idea Maude was pining for her from afar. A sneaky Maude tip toes up toward Betty White’s brown feet. This is her “MOM WTF WHY DIDN’T YOU TELL ME MAUDE WAS RIGHT NEXT TO ME!” face. This is her “seriously, this chinchilla needs to get a grip” face. Not really sure what face this is, but I thought it was cute. 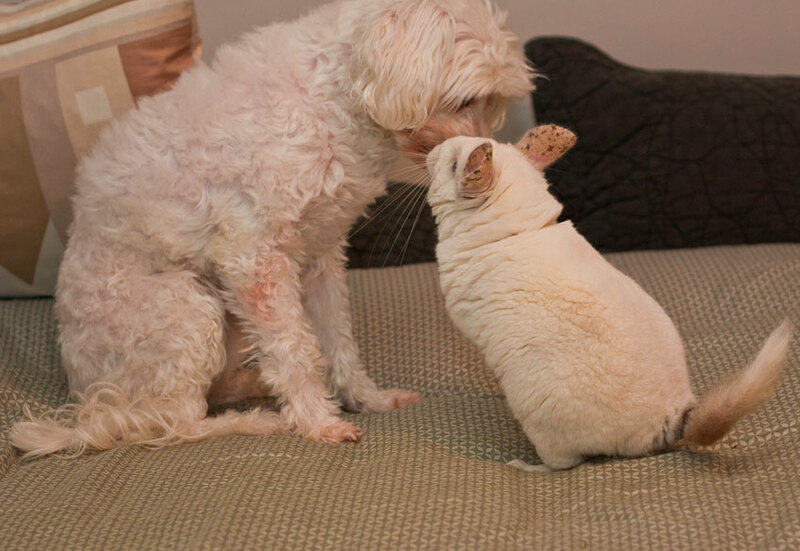 Um, they are totally besties. 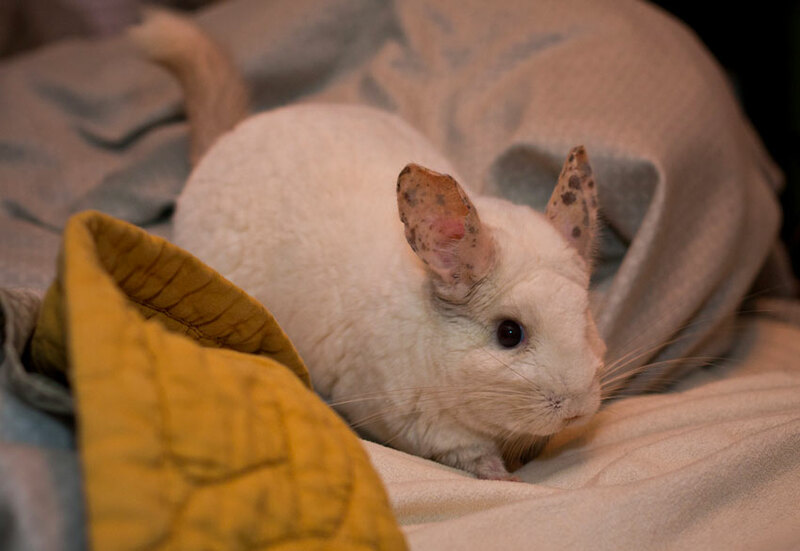 Hopefully that’s enough chinchilla love to hold you guys over for a little bit. 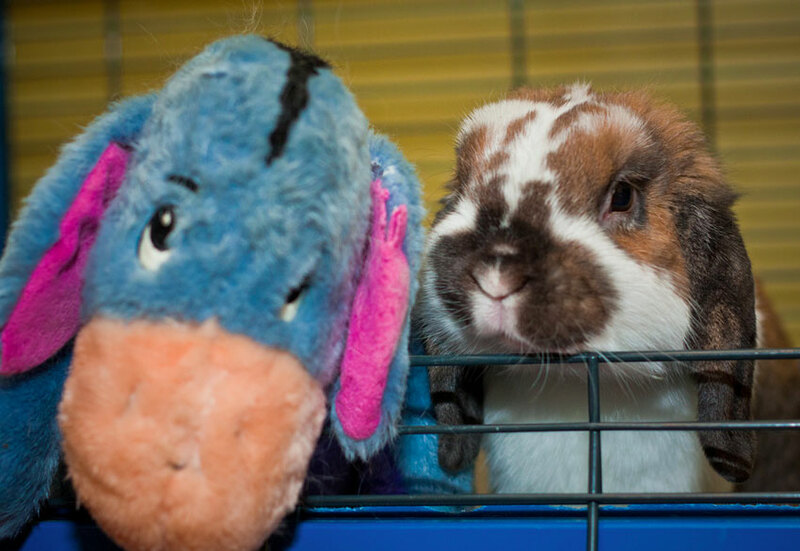 In case you may have forgotten, we have five pets (yes, we’re those people). Cadbury is a major beyotch, but I still love her. I rescued her from the SPCA, where they told me she was a he. I also took her to a vet which confirmed she was in fact a he. I was concerned about why her testicles were invisible, but figured the vet knew better than me. Needless to say, I got a new vet when I found five baby bunnies on my kitchen floor. I thought Betty had pooped and that her turds were running across the floor because it was 6am and I was delirious. 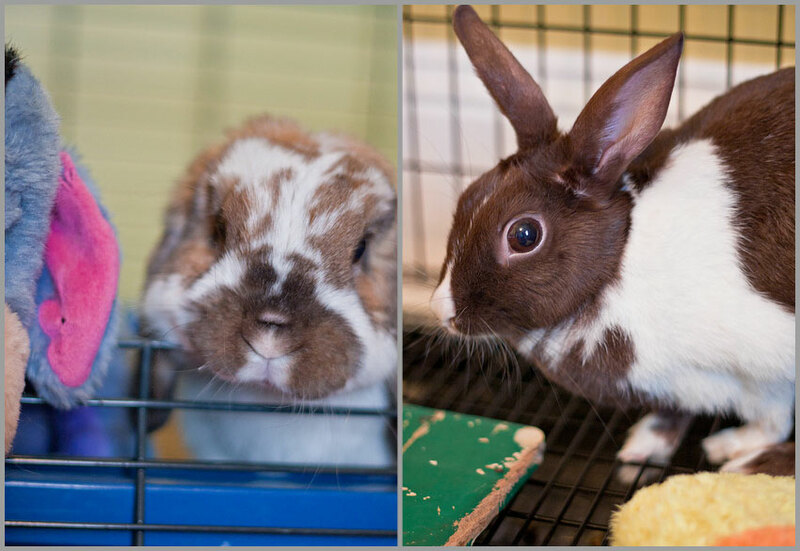 I was told by several vets and a handful of message boards not to be surprised if none of the babies made it because Cadbury was incredibly aggressive with them, which meant I had to feed them on my own. One ended up passing away, but the others were healthy and given happy homes. I kept the runt of the litter, Applesauce. He looks nothing like his mom and if he had a Match.com account, one of his “likes” would be running around his cage with a stuffed apple in his mouth. I heart him, even though he poops at an inconceivable rate. 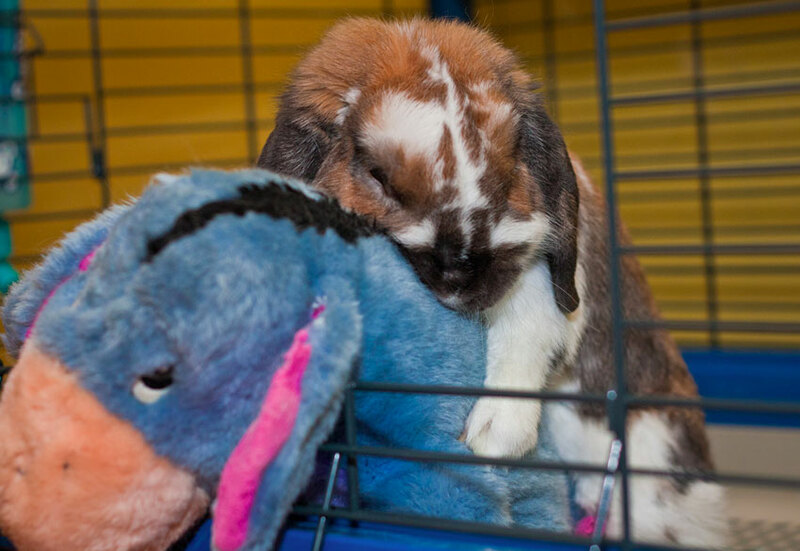 Sometimes Willie Nelson likes to do bad things to Eeyore, but I guess you could say he’s just hugging him really hard. 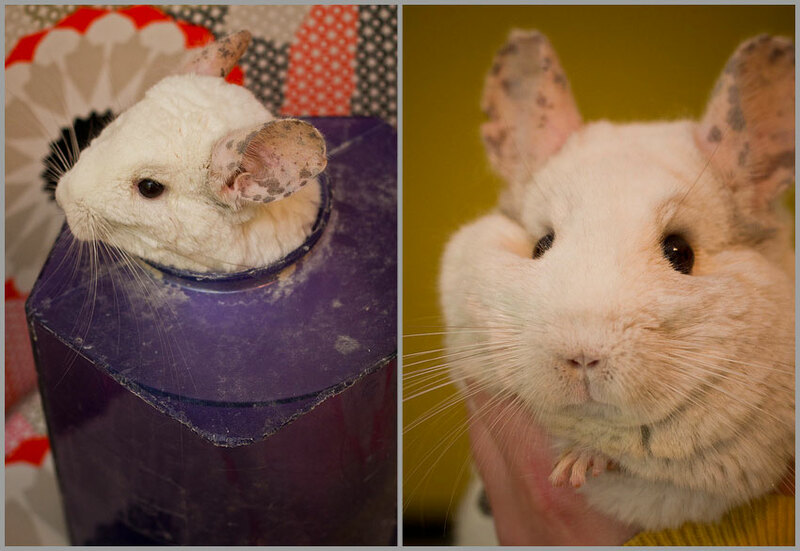 Thanks to Jenn for requesting more chinchilla stuff on the blog, I hope our freckle-eared chinchilla hit the spot! To everyone else out there, I’d love suggestions for topics you’d like me to cover on here! 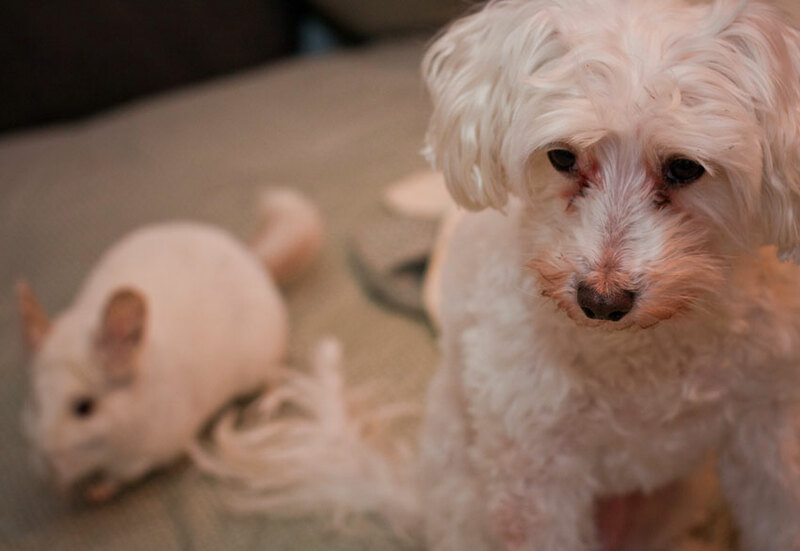 I’ll be sure to write posts covering the ideas my Twitter pals suggested (including a Betty White separation anxiety update and some photography tips). You might remember me talking about this cross-stitched table I bought at ReStore a couple of weeks ago for $10. The seashell look isn’t for me, so I planned on painting it white to match the table in our sunroom and replacing the stitched piece. At first I thought an old page from my grandfather’s Animal Encyclopedia might look cool, but the pages ended up being too small to fit inside the framed area. Instead, I decided to rip out a page from my American Illustration book, where a painting by one of my favorite artists, Jason Holley, jumped out at me. 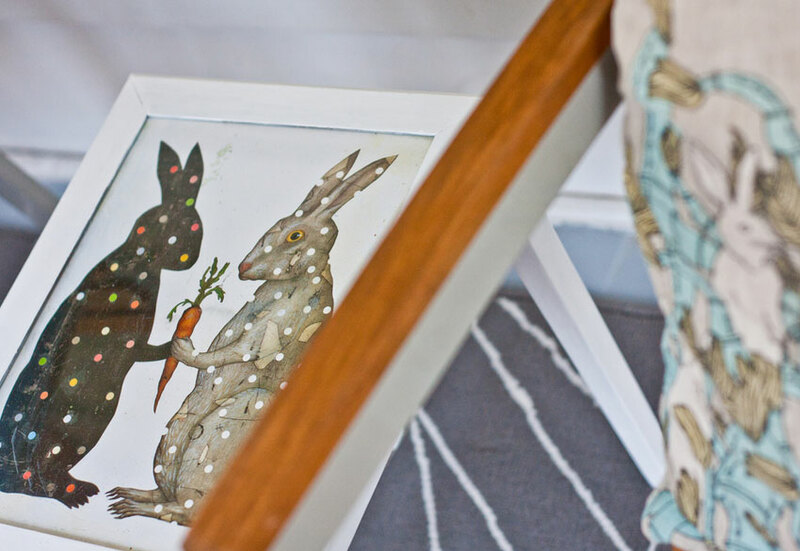 I’ve always loved this illustration and thought it would mesh well with the look of the sunroom. 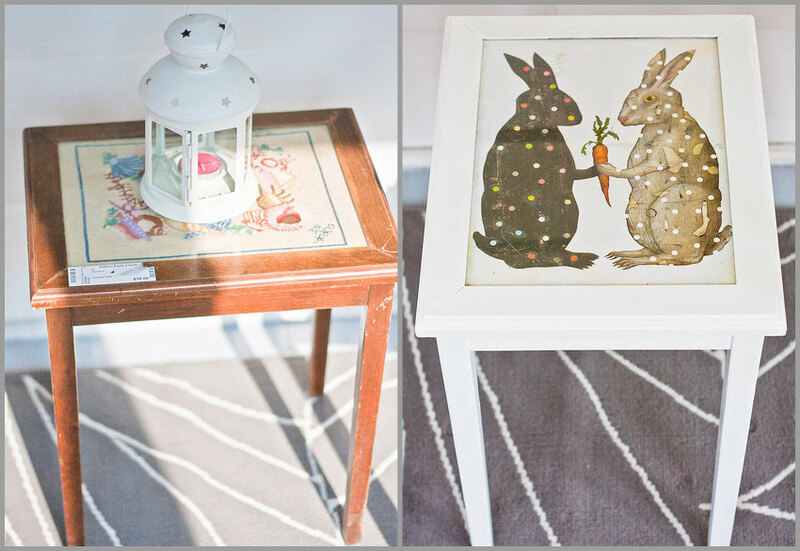 Here’s a before and after shot of the new side table, which goes well with the bunny pillow less than a foot away. Sorry Pete, but I love me some bunnies. 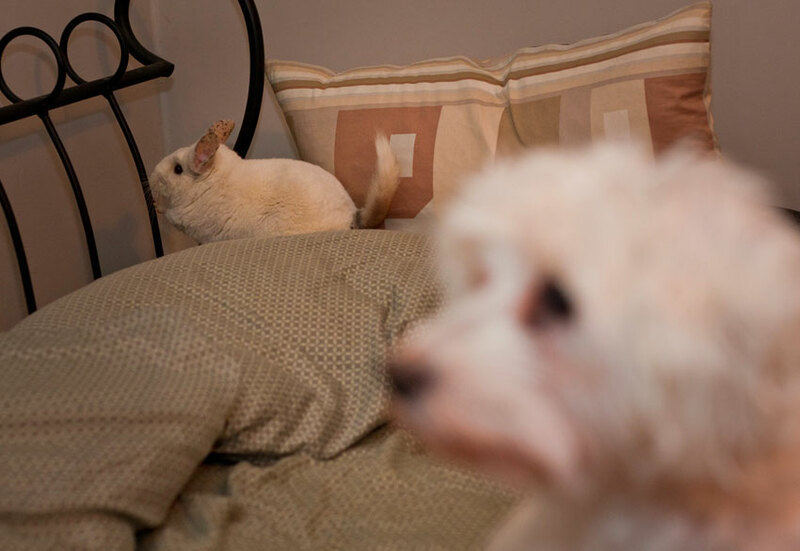 Speaking of bunnies, ours definitely dig the table revamp, I made sure to get their final approval. 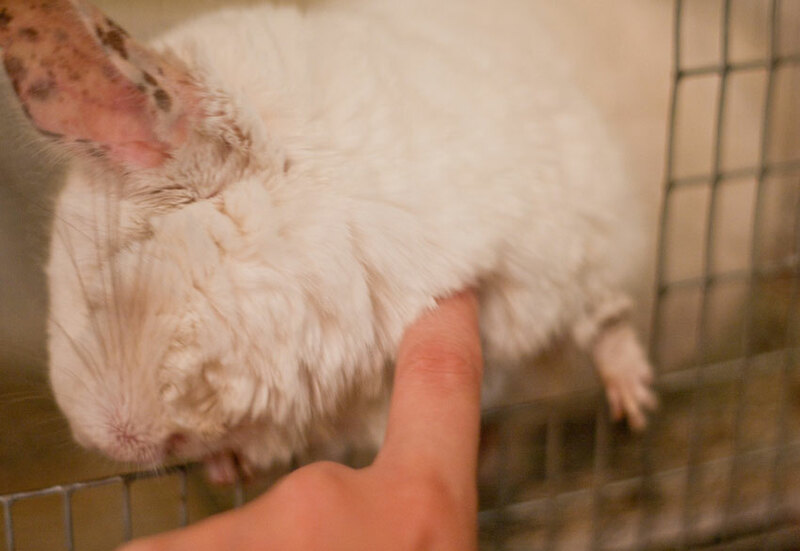 Our chinchilla Maude didn’t really care for the bunny side table revamp (she’s more of a seashell girl), even after I gave her a few scritches to try to win her over. Overall, this project was incredibly fast to tackle (thank god for spray paint), affordable and it gives our sunroom a bit more personality. 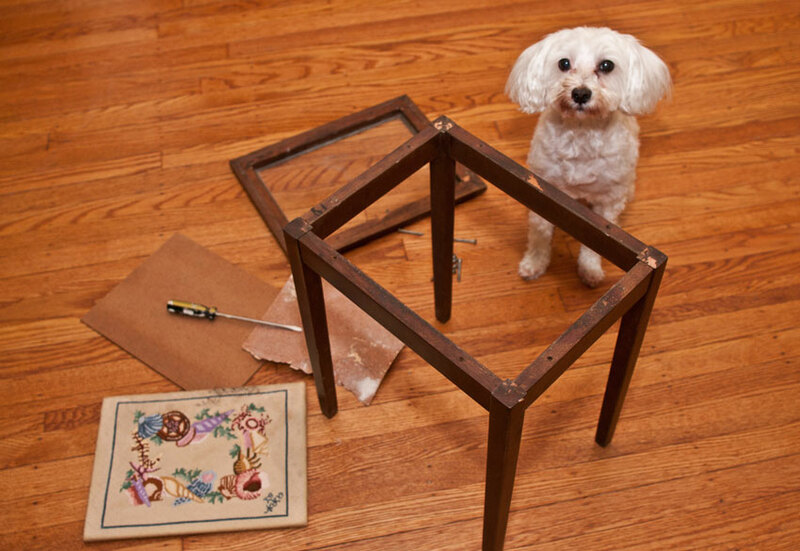 What are some simple DIY projects you’ve attempted lately? 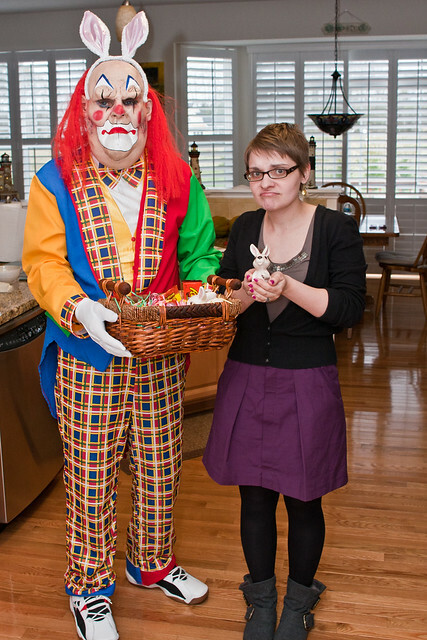 Unfortunately, this is a common facial expression for me when I'm visiting my parents. Today is Pete’s 24th birthday, so, like the total lunatic that I am, I decided it would be a good idea to blow up dozens of balloons last night. 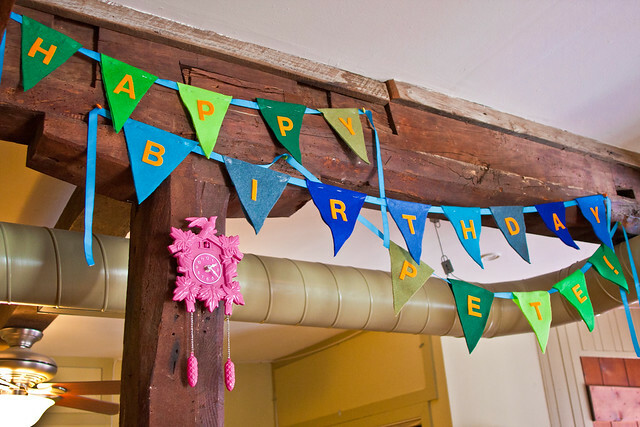 I thought it would be cute to get up in the middle of the night, put all the balloons out on the floor (they were hiding in closets) and hang the “happy birthday pete!” banner I made to surprise him with in the morning. Getting my arse out of bed at 4am was not an easy task, considering it was 64 degrees in our apartment…yeah, for some reason our heat decided to malfunction last night. I tried my best to sneak out of the bedroom like a ninja so Pete wouldn’t notice, but he jolted awake as I was leaving. I mumbled something about needing to take some medicine because I felt sick (straight up birthday B.S.) and I scampered into our kitchen area. I quietly started to unload the dozens of balloons from the closets and began hanging the banner. 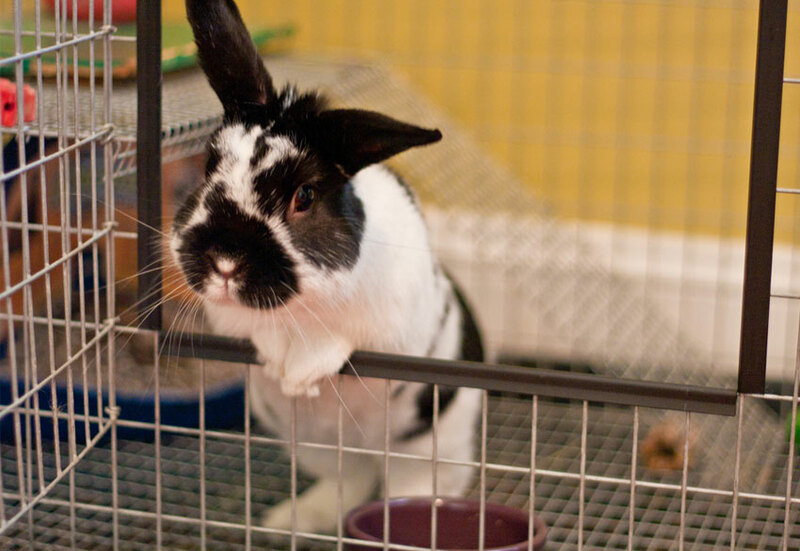 I had planned to hang streamers, but Cadbury, the bitchiest of our three rabbits, decided it would be the perfect time to stomp her feet in her cage as. loud. as. humanly (or bunny-ly). possible. I had to run back inside the bedroom because I could hear Pete loudly sighing and I didn’t want the surprise to be ruined. I was greeted by a “What the eff is going on?” inside the bedroom and I mumbled something in hopes that Cadbury would soon be done having her bunny tantrum. Not so much. She stomped (and by stomped I mean STOMPED) for at least an hour. 5am rolled around and our upstairs neighbor was waking up and doing his morning ritual, which we can hear in its entirety because the walls are thin. Any hope of getting back to sleep was quickly dwindling away. 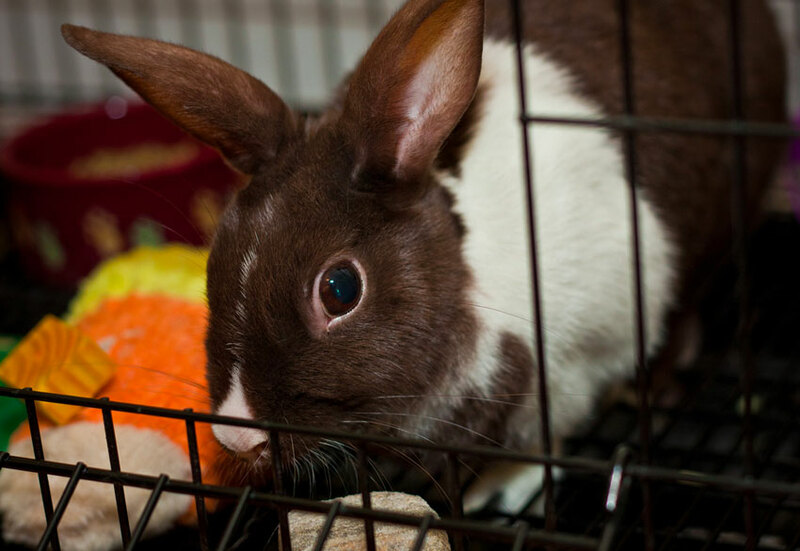 I decided it would be a good idea to move Cadbury’s cage to our back room so we wouldn’t have to hear her being a stompy beyotch. This seemed like a smart move, until during my walk through the balloons, Cadbury decided to kick a ginormous amount of bunny turds from her litter pan onto the kitchen floor. 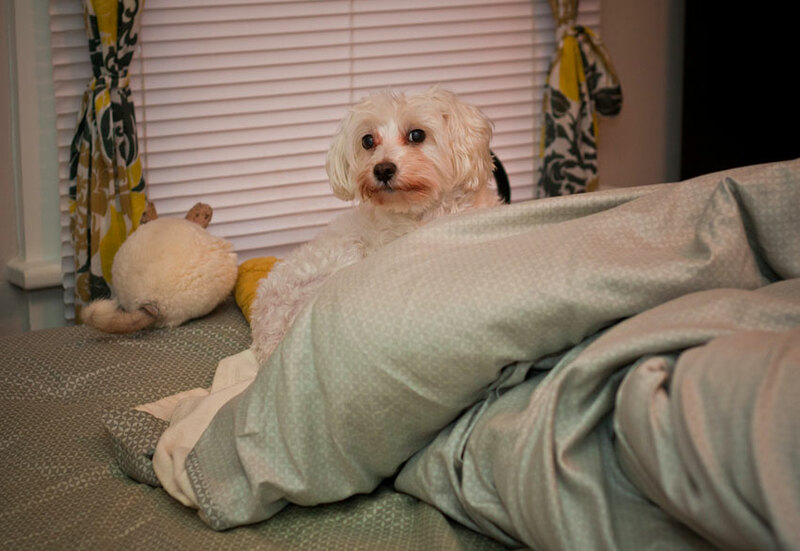 Pete said he could hear the poop scatter across the floor from inside the bedroom…imagine dropping a bag of mini, poop-covered marbles everywhere. Awesome. So, I tried my best to gather all the little bunny poops that were hiding beneath the balloons all over the place. 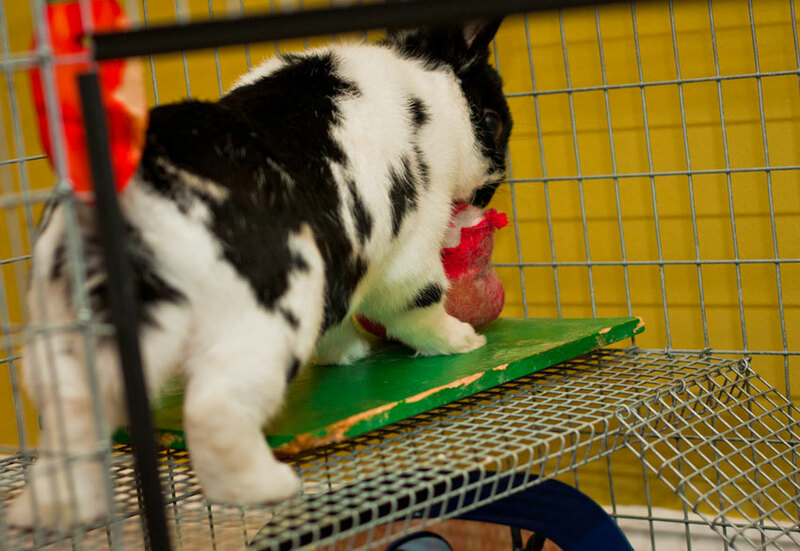 Being barefoot at the time was not an enjoyable experience, as I ended up stepping on one too many bunny poops. Not fun. Eventually, I flopped back in our arctic bed (after making sure my feet were clean, ick). 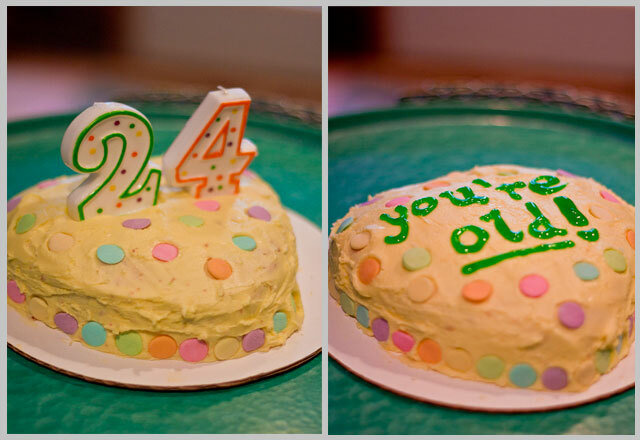 I felt awful that I was making Pete (who should have been having fluffy rainbow birthday dreams) lose hours of sleep because I wanted to surprise him with some birthday flair. Le sigh. Speaking of rainbows, when I asked Pete what type of cake I could make him for his birthday, he requested a funfetti cake with lemon frosting. I found a funfetti recipe (from scratch!) 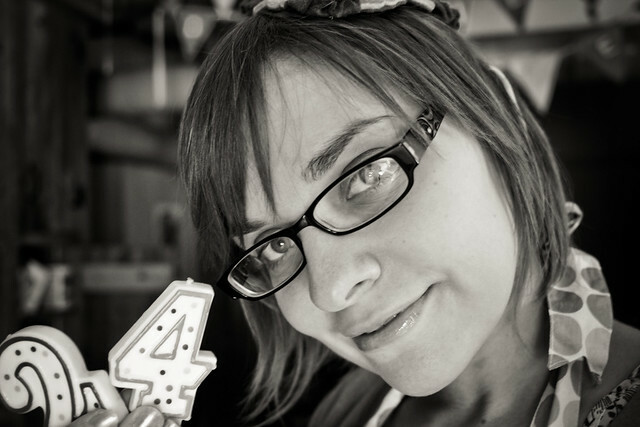 on this blog and I tried to make the cake decorations as girly as possible. 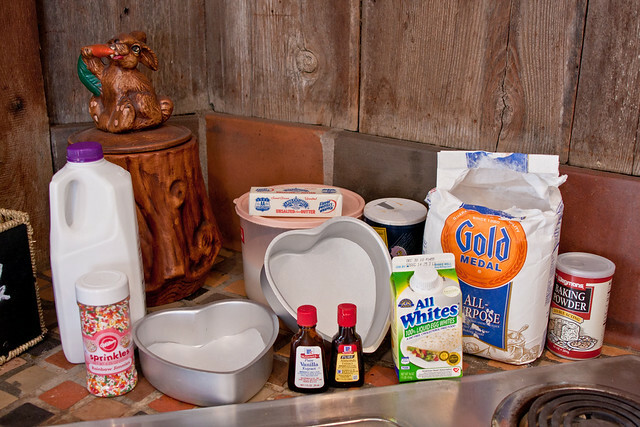 These are the ingredients for the Funfetti cake recipe, alongside a bunny cookie jar my Grandma handed down to me (I am so super lucky that my grandparents loved bunnies too). 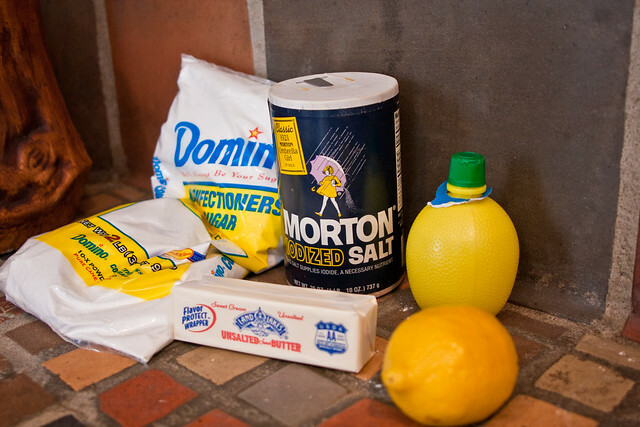 The ingredients for the lemon-y frosting Pete requested. Happy 24th, Pete! Next year I promise not to make you lose hours of sleep or have a balloon-hiding bunny turd scavenger hunt in the wee hours! I hope it ended up being a fun birthday, despite the major ninja fail on my part! Posted on December 30, 2010 Categories everyday life, family, home, recipeTags birthday, bunny, cake, funfetti, pete, poop, sigh6 Comments on Happy Birthday, Pete!